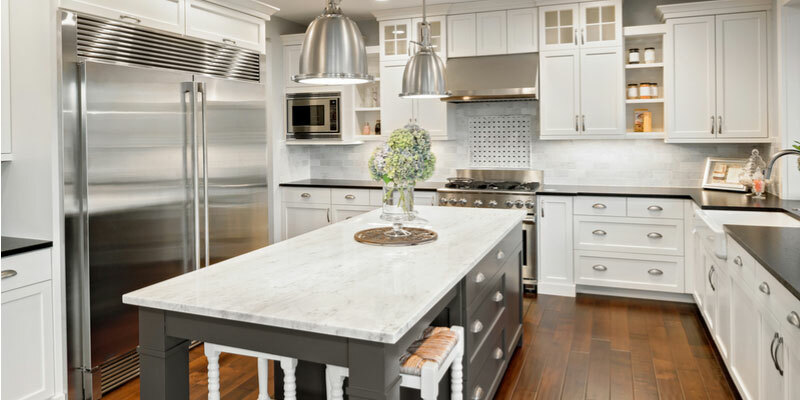 Should You Choose Commercial Grade Appliances for Your Kitchen? 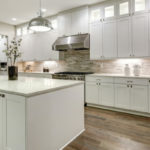 Kitchen Cabinets and Granite Countertops, Pompano Beach FL > Blog > Blog > Should You Choose Commercial Grade Appliances for Your Kitchen? 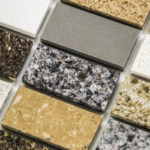 Choosing whether or not to install commercial grade appliances (aka professional grade) in your kitchen is a personal decision. It really boils down to budget, style, lifestyle, and personal taste. Many people choose commercial appliances because they like the heavier, more industrial feel. Others install professional appliances because they have large families or regularly cook and host large gatherings in their homes. Size can also be an issue in making the decision. Will professional grade appliances fit in your designated space? Standard stoves come in at 30 inches while the professional varieties range from 40 to 60 inches in width. Residential refrigerators are typically 36 inches wide, while professional grade refrigerators often measure up to 48 inches. In some cases, budget is the deciding factor in the commercial versus residential appliance debate. Considering the cost of a standard home refrigerator with prices starting around $600 versus the cost its commercial grade counterpart with pricings starting in the thousands. 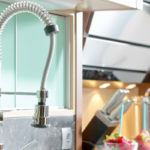 Some homeowners express concern as to whether the structure of their home can support commercial appliances, which because of their size appear heavy. While weight isn’t really an issue, commercial appliances do require professional installation. Another consideration comes with professional grade ranges which only come in gas and will need a commercial ventilation system when installed in your home. Commercial grade appliances have additional features that many homeowners enjoy. Professional grade refrigerators feature considerably more storage than standard refrigerators and offer a unique drawer deep enough to hold tall bottles as well as oversized containers. Wall ovens often feature warming drawers perfect for entertaining and have pushbuttons allowing controls to be hidden when not in use. Ranges offer up to twelve burners, making cooking for a crowd much more manageable. Some ranges offer the added addition of convection ovens as well. Many homeowners are opting for brick, fire-operated pizza ovens in their kitchens while others choose to add a commercial griddle or flat top grill. Commercial microwaves are another favorite especially those with the steamer option. Dishwashers even come in drawer form, an aesthetically pleasing option. Because commercial grade dishwashers are larger, they can handle oversized and taller containers as well. Selecting a high temperature dishwasher means homeowners can flash dry to prevent water spots on clean glasses and dishware. 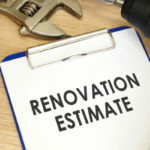 Once the decision has been made to go commercial in your home kitchen, you’ll want to evaluate all your needs and your home plans carefully before making your purchases. These buying tips will help you get your kitchen fully equipped with professional grade appliances. Research types of appliances as well as brand reputations and price ranges. Talk to industry experts and don’t be afraid to ask questions, after all you are making an investment – in your kitchen and in your home. Go to commercial kitchen equipment warehouses, wholesalers, and retailers to see the products you are considering in person, comparing prices and models. When looking for your new appliances, always rank quality over price. Commercial grade appliances repairs are costlier than those of their standard counterparts. Make sure you understand how to use the commercial grade appliances you are purchasing. They should be just as easy for you to use as residential appliances. Try out the commercial appliances you like, if possible. You may find that buying equipment from the same brand is beneficial in the long run. It gives consistency and helps you form a positive relationship with your supplier should you need anything assistance in the future.